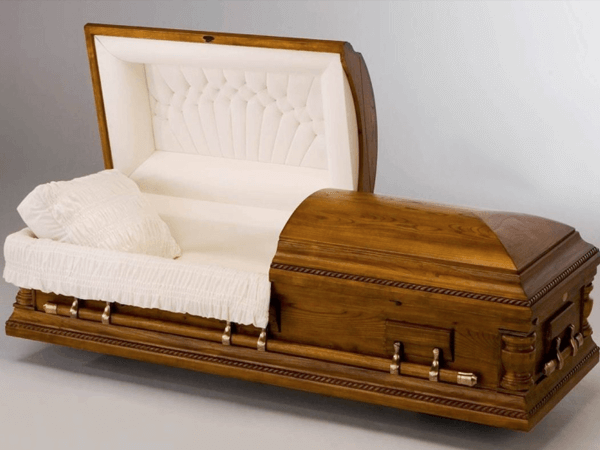 We have many caskets to choose from, including non-protective, protective, various wood species, steel (18-20 ga.), stainless steel, bronze, copper and cremation caskets. We have catalogs available for your selection. Our urns include bronze, marble, simulated granite, various wood species and ceramic. 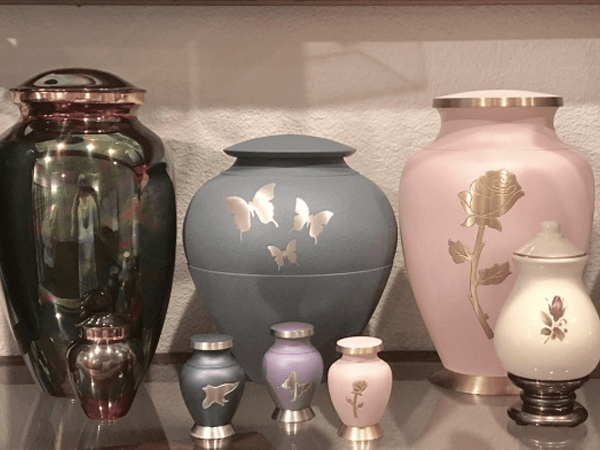 Some urns are appropriate for your home, some are more appropriate for a burial or niche wall, and others are biodegradable urns for scattering at sea. 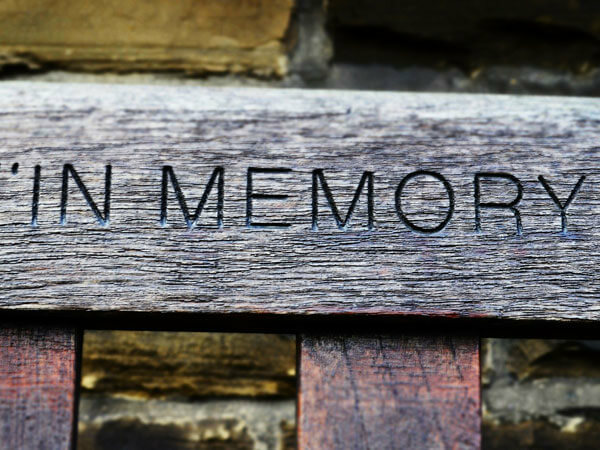 Before you purchase an urn that will be interred at a cemetery, call the cemetery. Ask if there are restrictions on size and type. 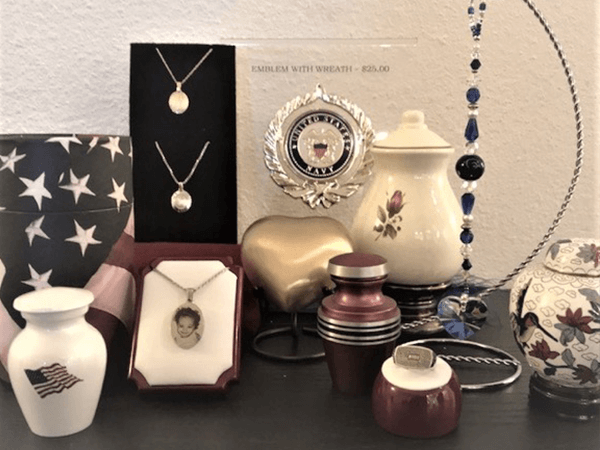 Keepsakes and jewelery have become a popular way of keeping a small amount of cremated remains. Ask the counselors about the varieties that are available. 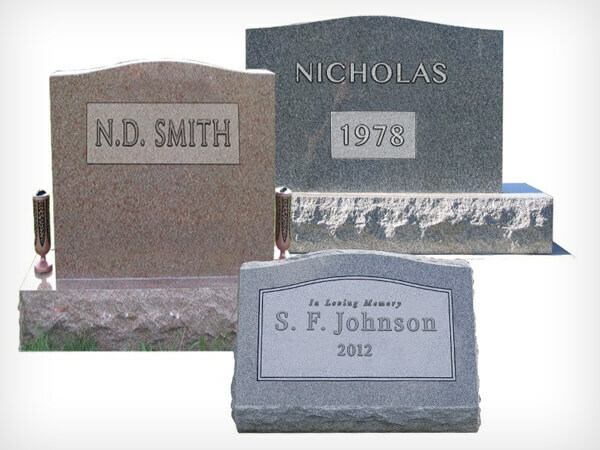 Cemetery markers are generally manufactured from granite or bronze. There are many colors of granite to choose from, including black, grays, reds and blues. We carry different sizes, our price includes a standard design: Name(s), Date(s) and endearment. Pictures, laser etchings and special requests are available at extra costs. Veterans with honorable discharge documents are entitled to a free 12" x 24" marker; this marker is made by the US Government, and shipped to any private cemetery (only for veterans). If burial takes place at a National Cemetery, they will provide the marker for both veteran and spouse.